No. 41-G, Jalan Tukul P15/P, Section 15, 40200 Shah Alam, Selangor, Malaysia. Rock Well Engineering (M) Sdn Bhd is a Malaysian private limited company and Parker Authorized Seals and O-Ring distributor incorporated on 19th April, 2002 with authorized capital of RM 500,000.00 and paid up capital of RM 420,000.00. 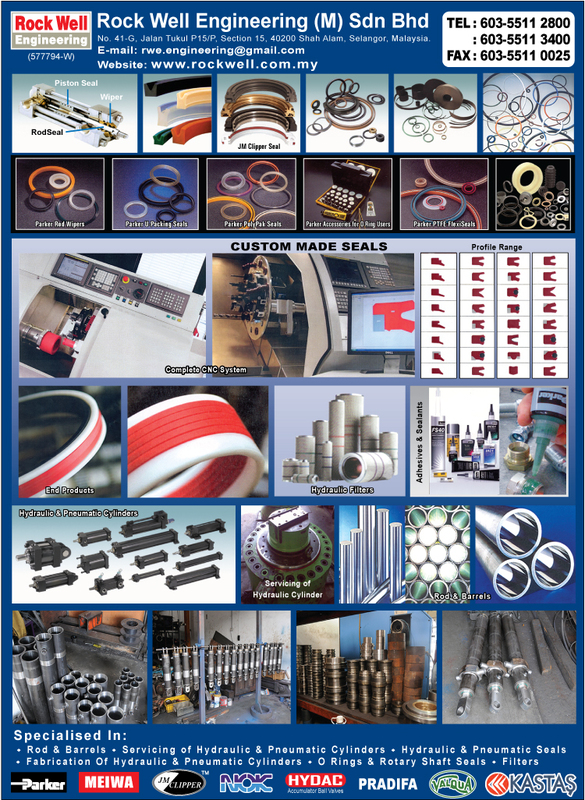 Its core business is the sale of all types of seals for hydraulic and pneumatic cylinders. 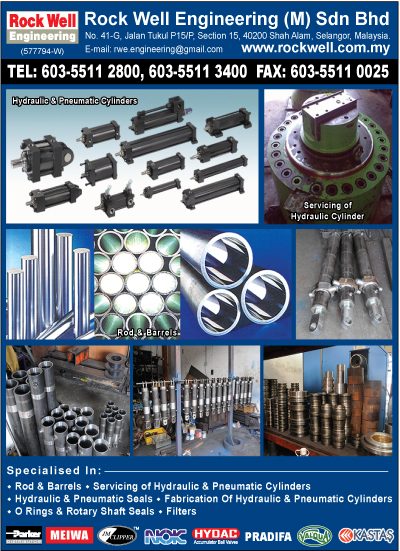 In supporting its core business, Rock Well Engineering (M) Sdn Bhd also provide services in the area of hydraulic cylinder fabrication, and also servicing of hydraulic cylinders, sale of rod and barrel and other forms of trading related directly or indirectly to hydraulic and pneumatic cylinders.